9 Hair Benefits of Lemon Fruit You Need To Know – Lemon fruit has been long used as hair care and mask to increase hair health. The content of nutrients in the lemon was very rich. Call it citric acid, calcium, magnesium, vitamin C, pectin, and flavonoids. But are you still hesitant because of hearing the myth that lemons can make the hair gray? Get rid of the doubt since there is no underlying evidence. Quite the contrary, lemon will give so many benefits for hair. What are they? BeauteSalonSpa has summarized it specifically for you. So rich in lemon with vitamin C so it can increase hair growth through the production of collagen. In addition, the acidic properties of the lemon can help close the hair follicles and prevent hair loss. How to prevent hair loss while stimulating hair growth? Combine a tablespoon of olive oil with half a tablespoon of castor oil. Add three drops of essential lemon. Mix and massage on the scalp for 5 to 10 minutes. Leave it all night. In the morning, rinse the hairwith shampoo. Do this routinely for example once a week to get maximum results. The second way is to combine two tablespoons of aloe vera gel with one tablespoon of lemon. Massage into the scalp thoroughly for about five minutes. Occasionally use aloe vera to massage the scalp area. Then rinse yourafter 30 minutes. By applying a lemon on the scalp, the clogged follicle can be overcome. Do you know, one of the cause of dandruff and hair loss is because of a blockage in the hair follicle. In addition, the fruit also has anti-fungal content that can maintain health as well as cleanliness of the scalp. How to use, simply combine lemon with vinegar. After the solution is ready, massage it slowly to the scalp for 10 minutes. Let it stand for a moment, then rinse your hair with a soft shampoo. The hair that contains excessive oil will tend to easily limp. Of course you do not want it to occur, coming up in an important event with limp hair? Well, by applying lemon water in the hair, the oil content in the head will be maintained. Your hair can keep volumizing even when you are on the move. If you have sufferedintense branching hair problems, try using lemon to cope with. How to use is easy, just mix with olive oil and smear it into the hair. Perform this method regularly so that the hair does not branch again. Sometimes unpleasant smells arise from oily hair,exposed to dust and sun. Get rid of hair odor by always carrying a small spray bottle of lemon water. It’s quite easy, just by squeezing the lemon juice into a small bottle. When you feel the hair is being exposed to the smell of the surrounding, spray the lemon juice to make the hair fresh again. Even lemon can also overcome lice in the hair. 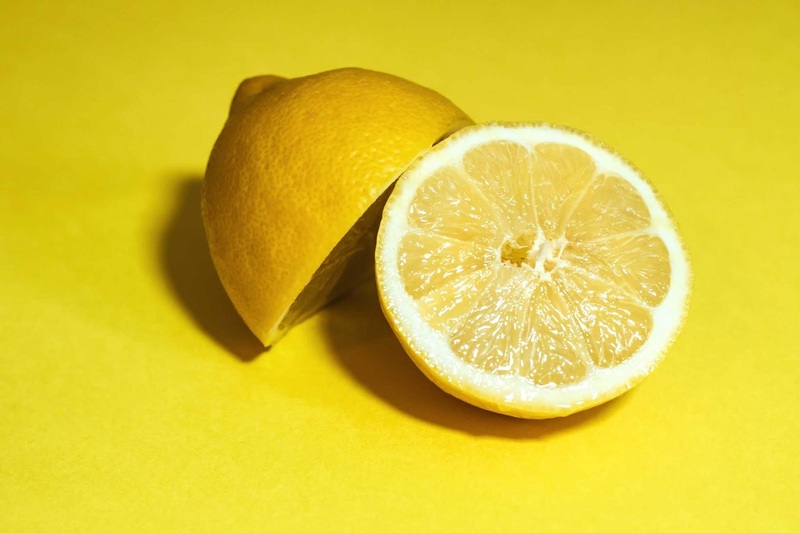 Citric acid contained in the lemon can potentially repel the fleas. How to use it? Simply squeeze the lemon and mix with vinegar. Then apply it on the scalp evenly, and let it stand for 30 minutes. Use a shower cap to cover your hair. After that, rinse and clean your hair with a shampoo. If your scalp suffers an infection, use lemon water to treat it. Indeed lemon water tastes sour, but basically lemon is very alkaline, with very low PH. So, if there is an infection due to accidentally being scratched too hard, just apply lemon water on the scalp to overcome the infection. Do you love to dye your hair? If the answer is yes, then it needs a bleaching process to eliminate the natural pigment of your hair. This is the first stage before the hair can accept a "new" color to be more easily absorbed. Well, usually in the process of bleaching, lemon water can also help if applied evenly to the hair. Remember, lemon fruit is one fruit that contains bleaching agent. When melon is combined with honey, there are so many benefits you can get. Not only for the health of the body if consumed, but also for hair health. The combination of honey and lemon is perfect for maintaining hair moisture. Honey can keep the hair shaft moist and make it shine. Do the treatment in this way on a regular basis to keep your hair moist. And, do this therapy once a week by covering the scalp with a mixture of honey and lemon. Wait for 20 minutes, and wash your hair with a soft shampoo. Do the treatments with reasonable frequency, not too often. Pay attention to scalp reaction, if it feels sore or unsuitable, do not proceed and rinse your hair immediately with clean water. Do not apply this therapy to areas of injured or cut hair.